If you own or operate a commercial truck (or trucks!) in the Oklahoma City area, The Truck Doctor Inc has the remedy for whatever ails your diesel engine or trailer. We offer towing and emergency roadside assistance day or night, as well as complete truck repair, tires, and maintenance services at our secure 2 ½ acre facility. Our 30+ years of truck industry experience can save you money and get you back on the road! Need help covering the repairs you need? advantage of financing through truckrepaircredit.com. Why Call the Truck Doctor? Voted Best Truck Repair Shop in Oklahoma City! The Truck Doctor Inc was voted among Oklahoma City’s best businesses in 2014 and 2015, and we work hard to maintain our reputation as a reliable, convenient, and friendly operation. We offer free Wi-Fi and coffee in our waiting area, as well as free shuttle service to hotels in the area and the Will Rogers World Airport. If you’re looking for a hotel, we can arrange a discounted rate for you. Just call us to see how we can help! 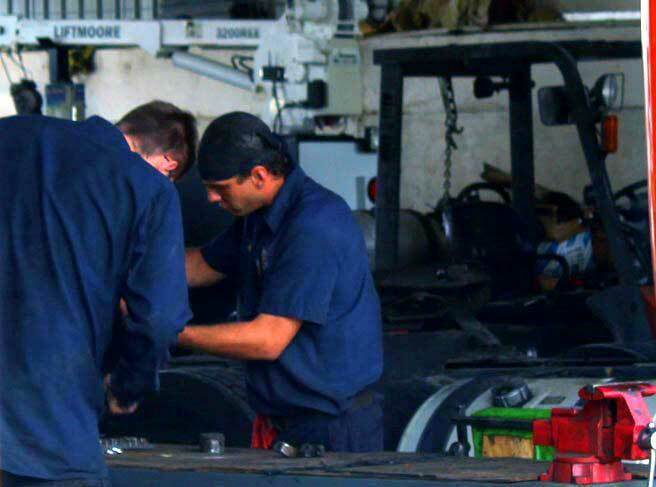 At The Truck Doctor Inc, we are equipped to service and repair every single type of diesel truck, from medium-duty pickups to heavy-duty trucks and equipment. No job is ever too complicated for our truck repair experts! We specialize in several major truck brands, including CAT, Cummins, and Detroit, and use the best parts manufactured by companies like Eaton and Meritor. Our shop also adds new services and equipment regularly, such as DPF filter cleaning and up-to-date computer diagnostic software, to stay at the forefront of the truck repair industry. If you’re broken down in the Oklahoma City area, including the communities of El Reno, Shawnee, Guthrie, and Paul’s Valley, one of our mobile service tow trucks will come to you! If you’re looking for our shop, we’re located one mile south of I-40, in historical stockyard city half a block east of Cattleman’s Steakhouse. Give us a call or contact us online for all your truck and trailer service needs!